Sean Hipworth is a native Floridian, born and raised in Orlando. He graduated from the University of Florida in 2008 and returned for law school in 2012, graduating with honors in 2015. While at law school, Mr. Hipworth completed the International & Comparative Law Certificate Program, served as an editor for the Journal of Technology Law & Policy, and received the Book Award as the top student in International Business Transactions. Aside from academics, Mr. Hipworth was actively involved in the law school community and beyond, serving as Treasurer of the Association for Public Interest Law and as a workshop presenter at the annual Law & Justice Youth Conference, hosting local middle and high school students for a day of interactive presentations. He continues to be involved as a mentor and active member of the Gerald T. Bennett American Inn of Court, a local professional group dedicated to improving the skills, professionalism, and ethics of the legal profession, which brings judges, lawyers, and law students together each month. Mr. Hipworth joined Warner, Sechrest & Butts, P.A., as a law clerk in 2015 while awaiting admission to the Florida Bar. 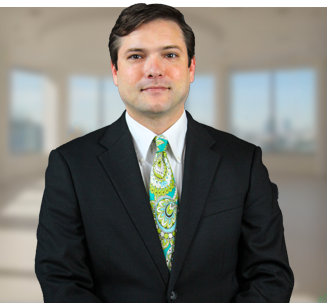 As an Associate Attorney, Mr. Hipworth is eager to serve clients in Gainesville and around the State of Florida. Most of Mr. Hipworth’s work is assisting business owners anywhere from formation and startup through litigation. His practice areas include construction law, commercial litigation, business and corporate law, transactional and drafting work, and personal injury. Outside of work, Mr. Hipworth enjoys playing guitar and singing, soccer, golfing, reading, writing, and following the Florida Gators’ many sports teams.